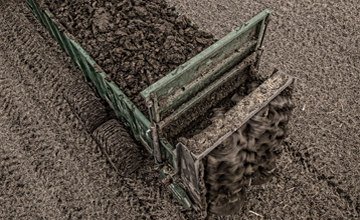 Have you been waiting for scales on the SB Series Artex manure spreaders? 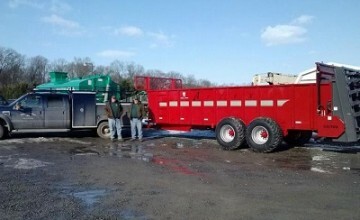 After extensive engineering, Redwood Metal Works has released the first SB Manure Spreader with scales! We Partnered with Digi-Star, to create a rock solid design offering a 5pt scale GT400 or NT460 system on SB series manure spreaders with minimal height increase, allowing this series to still be loaded with a Skid loader. Redwood Metal Works uses 4 load cells underneath the box and the 5th point being on the hitch. The GT400 is the standard weight display system. The NT460 system stores pounds of manure spread with GPS location in addition to displaying tons/acres. You can record every load automatically with the new AutoLog feature! The additional PC software that comes with the NT460 also allows you to create GPS application maps to show exactly where you have spread. Making it easier to calculate the value of your manure, verify you are on track with your nutrient management plan and provide evidence that you are following USDA’s regulations. Wait no longer and order your new SB Manure Spreader series Artex manure spreader today and be ready for fall spreading!